To make these posts easier to find (and link to), here’s a list of all the CISA-related posts on this blog, in alphabetical order. I’ll add other CISA posts as they are written. Where is the IS in CISA? What IT Auditors Ought to Know – and Don’t! When I did CISA a while ago 2007? I used ISACA software and the ISACA CISA manual. The most important piece for the CISA, and for any standardized test in my opinion, is to review and really learn the questions missed. Don’t see what you missed and move on. Stop, understand, learn the missed question and then move on. The software helped a lot with continually going through tests and then targeting and learning missed questions. You’ll be fine that way. :-). 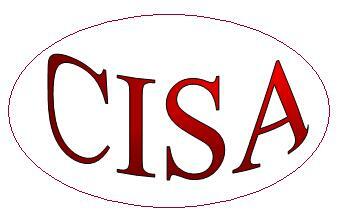 Passed the CISA exam today! Thank you for your helpful links! I’m sitting a CISA in a month’s time, and to be honest, begin to freak out. The biggest problem I’m struggling with now is the lack of clear pass criteria, which makes me doubt my chances. For example, If I practice on review questions (batch of 150, like on an exam) I’m consistently making 90 -95 percentages. (which is not that surprising, as I’ve learned them and their logic). However, sitting on an exam with the “only not seen before” questions, I’m doing about consistent 70s. And since the exam will most probably contain unknown questions, that is my estimate for now. The big question is – would it be enough? Unless you are new to auditing and IT, you should do okay. Either way, make sure you understand WHY you miss the Qs you miss. If you see a theme in your misses, then buckle down in that area. It is most important to understanding auditing, then IT, in that order. Wish you the best.